IT’S A STORY OF BLOOD, SWEAT AND SPHERES! The fifth and final PHANTASM took an incredible eight years to go from set to screen. The project began as an experimental short before becoming a thirteen part web series and finally a feature length sequel. Shot in secret on a microbudget, RAVAGER reunites PHANTASM ‘s core cast thirty-five years after the original cult classic. The new sequel filmed not in Hollywood soundstages but in the homes of cast and crew. Visual effects were handled mostly by the director. Decades-old props were taken out of storage and dusted off for reuse. They just don’t make movies like this anymore. In fact, they never really did to begin with. 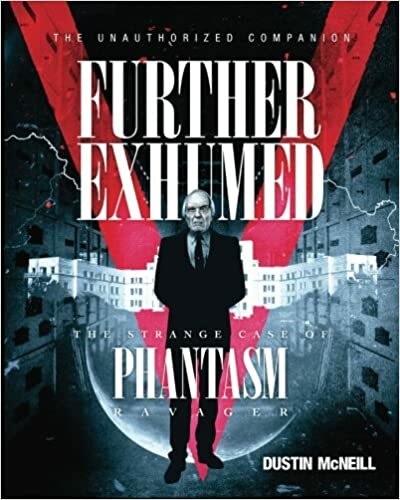 Such is THE STRANGE CASE OF PHANTASM RAVAGER!